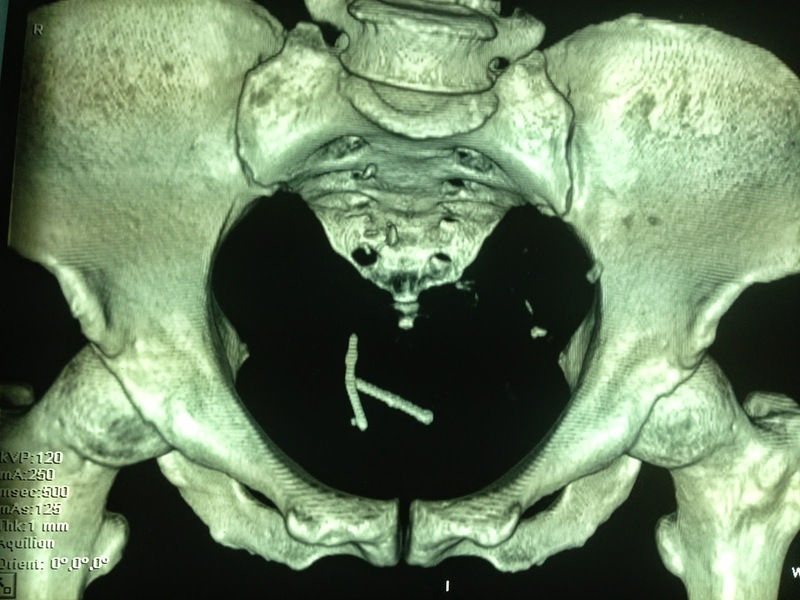 WOMAN 53 YO WHO HAD AN IUD INSERTED FOR 16 YEARS , IN ROUTINE CHECK- UP BY ABDOMEN ULTRASOUND (US) DETECTED ONE MASS OF URINARY BLADDER WHICH WAS LIKE T SHAPE IUD IN PENETRATION FROM UTERUS LUMEN TO URINARY BLADDER WALL(SEE 4 US IMAGES). 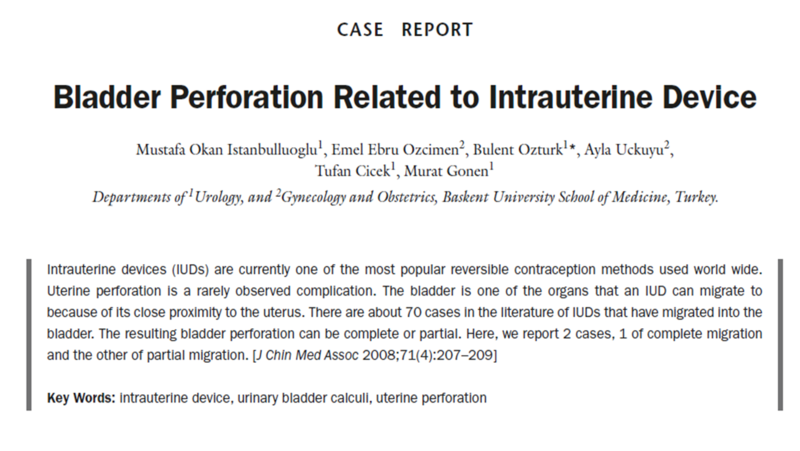 FOR MAKE SURE THIS IUD IN PENETRATION TO URINARY BLADDER, ABDOMINAL MSCT WAS DONE. 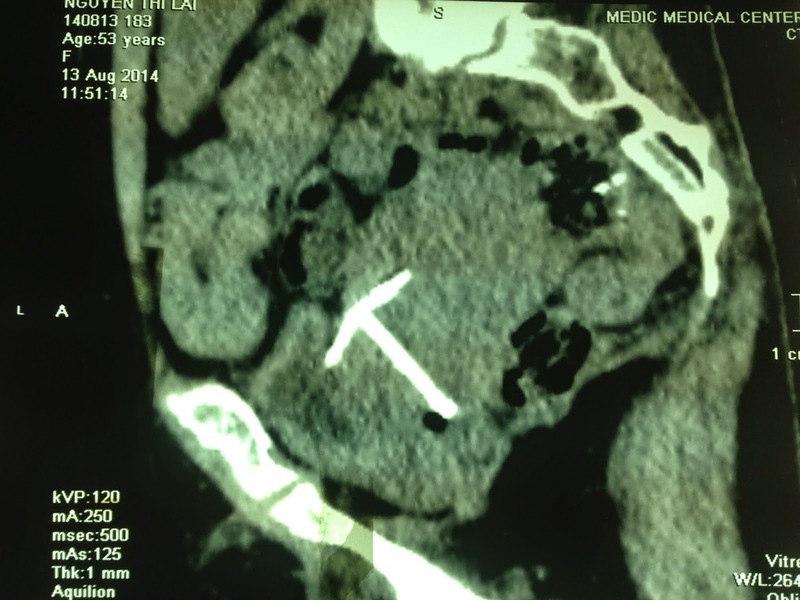 (SEE 3 CT PICTURES). 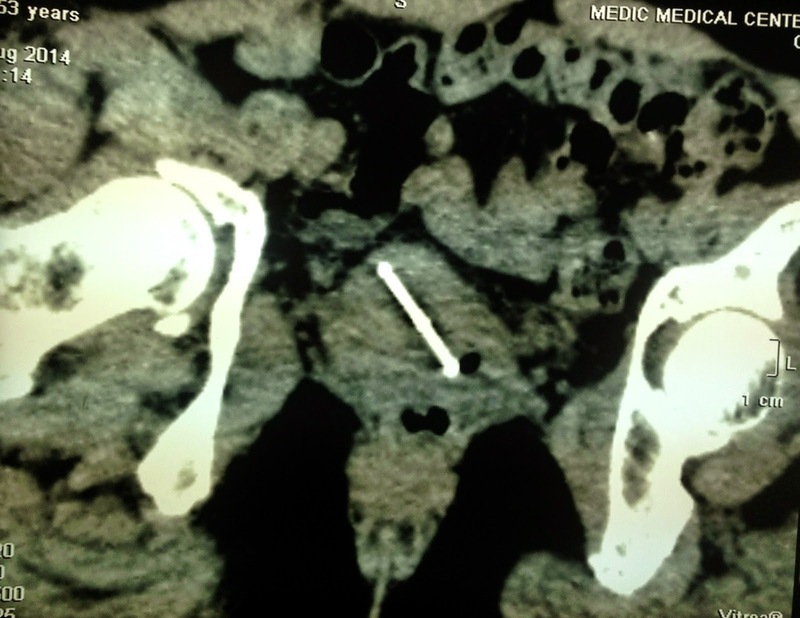 For evaluation intra urinary bladder tip of IUD or not, cystoscopy detected one mass edema of mucosa near right ureteral meatus (see photo). This patient refused treatment, returning home.